Hospitality owner and Rich Lister Chris Morris is injecting $7 million into the iconic Portsea Hotel to create a top tourist destination on the Mornington Peninsula. Portsea Hotel opening next Monday 10th December after $7 million refurbishment by Chris Morris. Part of the Colonial Leisure Group’s $300 million tourism portfolio, the Portsea Hotel was purchased in 2000 and after remaining dormant for 18 years, was in dire need of a facelift. “Portsea Hotel has been a great place to go in the warmer months and although it is seen as a Portsea icon, the charm had left the building some time ago,” Chris said. More than just a lick of paint, the renovations seek to re-establish the Portsea Village as a tourist destination for 365 days of the year, creating a mecca for families, couples, holidaymakers and tourists alike. (L-R) Colonial Leisure Group GM Lawrence Dowd and Rich Lister Chris Morris. Known for its sprawling beer garden on the water's edge, Portsea Hotel will host a number of live music acts over summer with morning yoga also on the cards to cater to the ever-growing active lifestyle enthusiasts. Upon entry, guests will be treated to a rotating art gallery featuring an evolving calendar of artists, which leads into the biggest room of the venue – known as Longshore - boasting a large open-style kitchen complete with a fresh new menu. The second floor is home to the ‘Bertram Bar’ (in honour of John Bertram) and with panoramic ocean views, is earmarked as the hottest event venue of 2019. Other newly added elements include Cliff’s Bar - a California-inspired burger bar and the RIP Bar - a whisky inspired cocktail bar to lure guests in the cooler months. 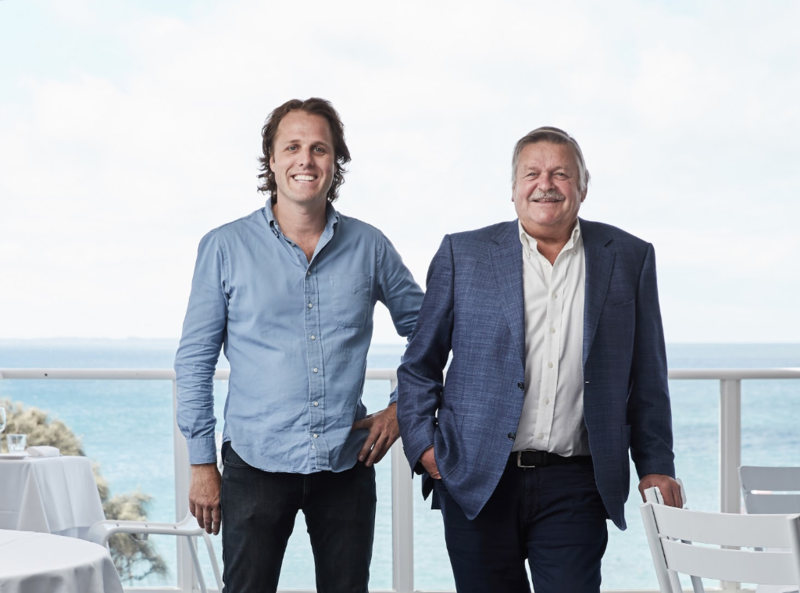 A heavy investor in tourism, Chris Morris’ hospitality group owns some of Australia’s most iconic destinations and venues including Orpheus Island, Mount Mulligan, Print Hall in Perth and Half Moon in Brighton to name a few. Currently, the group is also undertaking renovations on the popular Albert Park Hotel. “Australia is a beautiful country and our tourism sector has witnessed strong growth in recent years, with this figure only set to soar. “By creating thriving venues and destinations across the nation, we’re actively contributing to Australia’s employment sector and keeping jobs in Australia,” said Chris. Click here to view the Portsea Hotel website.